90kvdc high voltage cable is used for X-ray machine in the high-voltage cable high-voltage relatively strong resistance to high-voltage cable, 75KV high-voltage cable and 90KV high-voltage cable X-ray machine is commonly used cable KV, X-ray machine for the spherical tube also has 125KV and 150KV two, so 90kvdc high voltage cable for 150 KV X-ray machine. In general, 75KV high-voltage cable can also be used for 150KV spherical tube, but in view of the service life and safety of high-voltage cable, we do not recommend to do so, easy to shorten the service life of high-voltage cable and medical staff safety hazards. 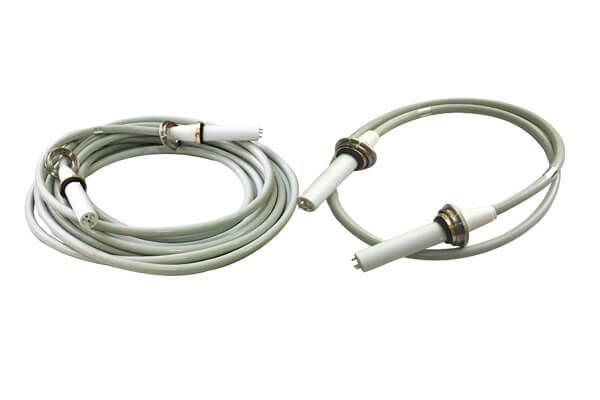 90kvdc high voltage cable have conventional straight head and elbow two kinds of connectors, suitable for different X-ray machine models, customers in the selection of 90kvdc high voltage cable should pay attention to the choice of connectors, convenient for their own needs.